Superb priya, looks like yum filling. Crescent rolls have come out perfect! They look super delicious Priya! So perfect and nice..loved this! lovely recipe Priya. am yet to try sweet breads and just waiting for a new oven. 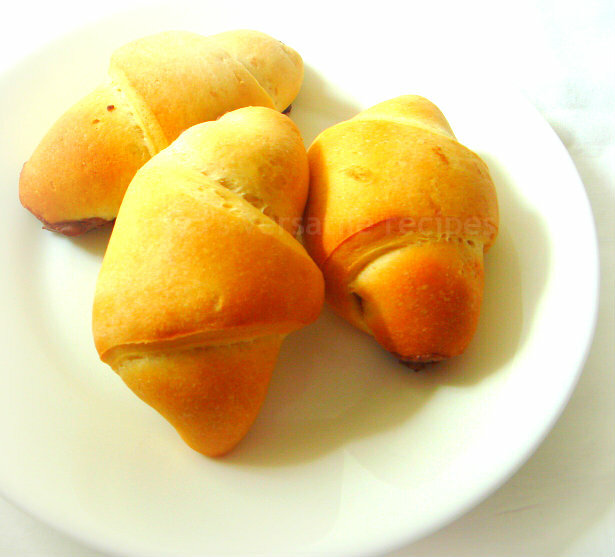 Ek to Nutella, upar se rolls mein...best hai yaaar!! Perfectly baked ...Oh,I can't wait to grab..Yummy! they are so cute and perfectly rolled.. Yet another super duper recipe from you! This looks like a chocolate lovers delight. Very cute rolls ...professionally looking. Yummy! 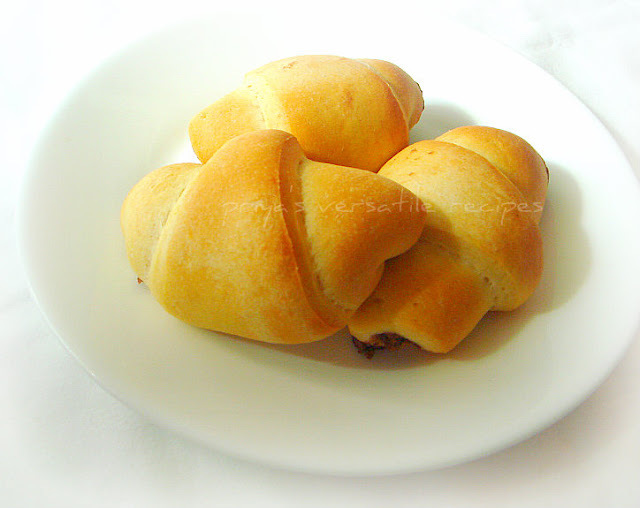 Super cute rolls, I am sure nutella makes it delicious. wow... these look perfect... bookmarked..
Those crescent rolls look so cute and delicious. That's really such a delightful dish Priya..why kids, even I would love to bite into it! Hey Priya, Want to do this one, can you tell me how many rolls you got from this recipe? Hey Priya, I wanted to know for the crescent rolls and not the misal pav!! anyway I read your post again and looks like you got 24 rolls - am i correct? well anyway that bread above is interesting i wanna try that at home.